Walls and floors reliably insulated with JACKODUR® XPS. Extremely high demands are made of the transport of foods and other temperature-sensitive goods, so that the cold chain is not broken. 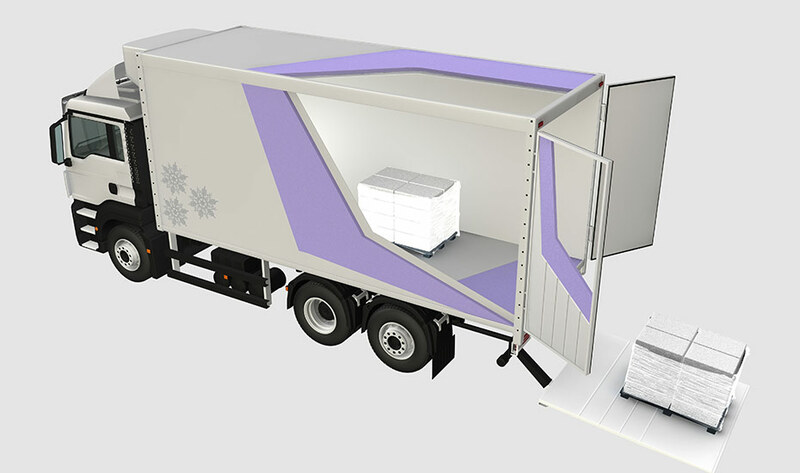 At the same time, it is very important to make the best possible use of the space in the refrigerated vehicle. Light, dimensionally stable elements that also offer excellent thermal insulation, such as JACKODUR®, satisfy the high demands of refrigerated transport.